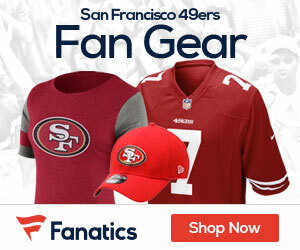 Matthew Barrows of the Sacramento Bee reports second-round draft pick Colin Kaepernick had a minor surgical procedure on his lower left leg shortly after the draft, the former Nevada quarterback said Friday afternoon. The 49ers were aware of the procedure, which is not expected to have any long-term effects on Kaepernick and will not linger into the season. “It’s nothing serious at all,” Kaepernick said in a phone interview. Kaepernick declined to go into details about the injury that led to the procedure, but he said the leg began bothering him toward the end of the 2010 season. 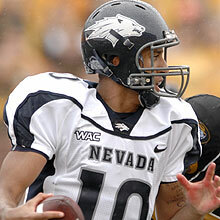 Kaepernick played through the injury for the final four games, then went to the Senior Bowl and the scouting combine. It did not seem to affect him. Indeed, Kaepernick’s showing at Senior Bowl practices in late January boosted his draft stock, and he ran a 4.53-second 40-yard dash at the February combine, the second fastest of any quarterback. “For me, going through the end of the season and then on to the Senior Bowl and everything – there wasn’t any time to get it handled,” Kaepernick said. Be the first to comment on "Kaepernick Had Lower Leg Surgery"